Remove the stains in your carpet properly with the handy tips below. Carpet cleaning related tips for everyone to use! Written to help you deal with carpet stains and water damage problems, the following suggestions offer solutions and ways out of issues. Find out what to do when carpets get really dirty or stains don't come out. Get the best ideas on how to take care of rugs. 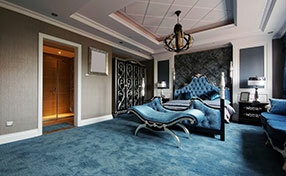 Read the best tips for carpet cleaning and rug maintenance and find out how to deal with stains and water damage. If the settings on your vacuum cleaner are set too low, you can cause damage to your rugs and carpet. If set too high, there won't be enough suction to pick up the dirt. Simply raise your vacuum to its highest setting and then turn it on. Then, lower it until you can feel the machine tugging itself forward. And when you need professional carpet cleaning at its best, give our experts a call where your satisfaction is always 100% guaranteed. Blotting is a carpet cleaning method that anyone can do. This is done by pressing a dry towel down the spot, which will absorb the spill into the towel. Blotting can be done to clean any type of spills. Experts at Carpet Cleaning Redwood City suggest learning how to carry out this method because it is both easy to do and can remove stain without damaging the carpet. Keeping your carpet clean can go a long way in prolonging their life span, especially since carpets are always exposed to spills and dirt. Not to mention that they can hide parasites and that can lead to diseases that could endanger your health, despite looking clean. A simple vacuum cleaner will suffice for this task. Make it a habit to clean your carpet every few days to make sure that they stay clean. Regular carpet cleaning is good for you. The benefits are associated with your health and the indoor atmosphere of your house. By vacuuming often but also removing stains immediately, you can keep fibers in good condition. Any problems related to water damage will be found and taken care of sooner. This way, you can prevent mold development and keep the indoor environment and your family healthy. This is important for two reasons. The primary one is that the acid in the urine will cause damage to the fibers of the carpet unless it is removed completely. The pile can become loose and brittle. Discoloration can occur as well. The second reason why fast action is required is the odor which is extremely difficult to hide even with the best room deodorizer. Tile floors, especially in bathrooms, seem to always attract mildew. Make sure the room is aired out after every shower to keep the floor as dry as possible. However, if mildew does accumulate, a 50/50 solution of water and ammonia will usually do the trick. Wear rubber gloves; make sure the room is well ventilated; and use a soft brush. Then rinse with lots of clean water. 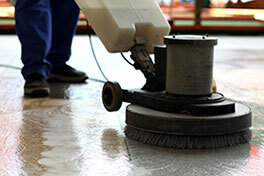 In really troublesome areas, call our experts for professional tile cleaning at an affordable price.